We sell locks and boxes! We are dedicated to making your transition as simple as possible. Whether you are moving to our area or moving away from Hinesville, we have all the packing supplies you need to complete your move and protect your goods. 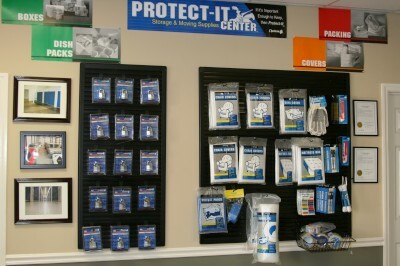 Our qualified staff can recommend the proper supplies needed for your specific items. Our Liberty County self storage center features a loading dock to help shift items with ease between your vehicle and storage unit. Visit the Hinesville Storage Features page to learn about other special amenities we provide for our customers.